Wooden carved reliquary no.2 - Istok Church Supplies Corp. 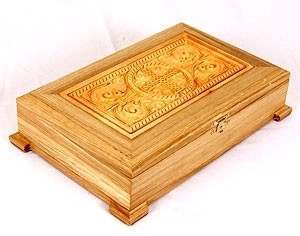 Traditional Orthodox Christian wooden carved reliquary. Wood, finishing. Size: 14.2''x9.1''x3.3'' (36x23x8.5 cm).